Time, we all need more of it. Particularly when you’re a mum. And especially a working mum. From trying to stay organised through the chaos of the endless work-life-mum balance, juggling far too many hats to just needing some escapism and you-time, there’s a whole new breed of apps out there designed to make our lives that little bit easier and allow us to proudly hashtag #parentingtheshitoutoflife. Here at LOOKLOOK we like to call them the life hacks. Today’s #mumbosses are embracing a whole range of apps. “Apps are an essential part of modern day life for me,” admits Kimberly Ritchie, founder of the Scottish Mothers Collective and mum of two. “I’m rarely without my phone and, right or wrong, my apps make my chaotic, busy working mum life just that little bit more organised. Mum of two, Emily Murray, who is a writer for Grazia, Stylist and GLAMOUR and also runs her own business The Pink House, is another app lover who uses hers to entertain the kids. “I try to fit my working hours around childcare for my two young boys but despite my best efforts there are inevitably times when I have to write an urgent email/take an urgent phone call/eat an urgent biscuit while I’m in sole charge of the children, “ she says. For Zoe at Dress Like a Mum, her go-to apps are TOPSHOP for shopping anytime/anywhere, Instagram for new brands and stories and City Mapper to plan her routes and commutes. And our very own mum boss and self-confessed Instagram addict, Frances Spencer-Barton, of LOOKLOOK, has her very own app loves. “With two small kids and work to balance, reading an entire book is a luxury, and one that I haven’t managed to do in such a long time,” she reveals. Headspace. Get your free headspace wherever you go with this easy to use meditation app which offers guided mindfulness techniques. SleepBot. This sleep cycle tracker and intuitive smart alarm records your movements and sounds throughout the night to see what can help you sleep better, for longer. If getting to a class is proving too difficult perfect your yoji at home or at work. Office Yoga is an e-deck of pose cards tailored for workers who want to take care of their body in between classes. Blinklist. The ultimate book summary app. Like watching the football highlights, but even better. VSCO. Why waste time perfecting angles and lighting when this app effortlessly transforms ordinary shots into arty ones. Wunderlist. Keep your life in sync with this sharable to-do list, perfecting for sending reminders to Him. Dress Like a Mum. 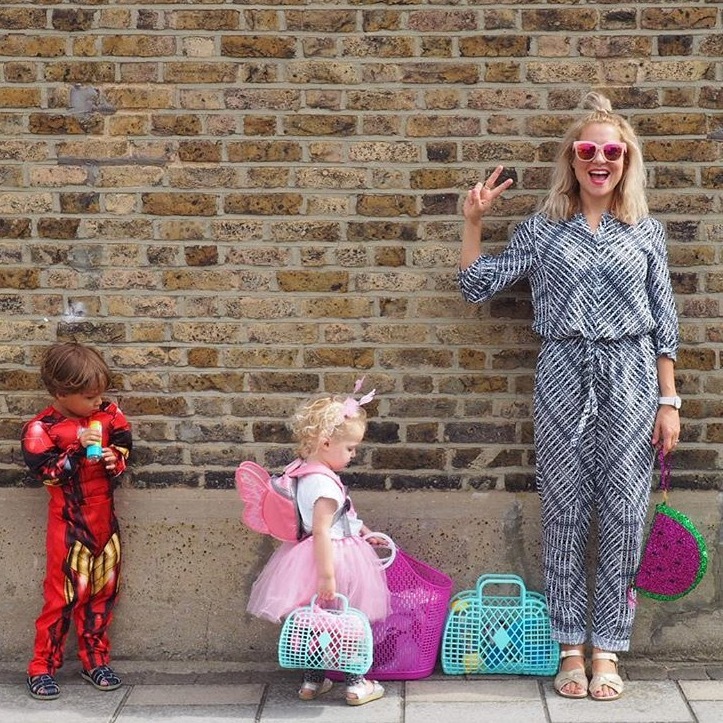 Okay, not technically an app but follow Zoe de Pass on @dresslikeamum for everything style related. And a good dose of humour too. My Fitness Pal. One of the most comprehensive calorie counter and calculator. And it’s free too. 5K Pro. Train to run a 5K with this clever app that provides audio alerts.